Quite rare as it appeared in 1957 but was dropped by the early 1960's. This is a 13" snare, but it is metric pre-international size. A blatant copy of the new American offerings of the time down to the snare throw and the triple flanged hoops - very unusual in UK at that time. 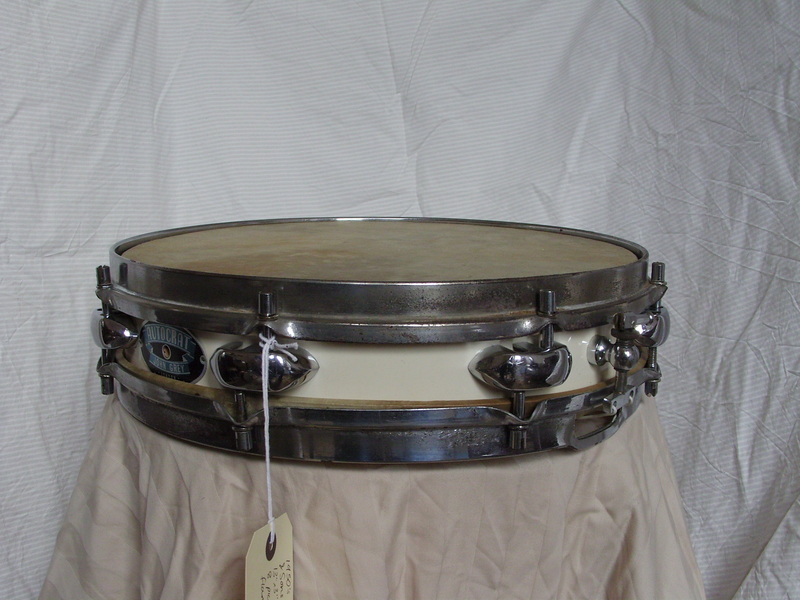 This has original calf heads (obviously) and original snare wires, with plastic tabs - unique to Rose Morris. Wonderful to own but disappointing to play. 1950's Autocrat badges wear a slightly lighter shade of blue than the 1960's version. Nerd note: Unless it was outsourced, this is evidence that Rose Morris had a 13" shell mould, but I am still searching for a 13" tom.